I am finally getting around to posting the link to my thesis. Apologies for the delays. Kitzel, ME 2014 Chasing ancestors: searching for the roots of American Sign Language in the Kentish Weald, 1620-1851. The post-graduate life presented a fascinating paradox: never in my life have I lived in such lonely isolation while simultaneously feeling such loving support from my friends and family, near and far. I cannot properly express the depth of my gratitude for your encouragement when I stumbled on this path and your faith that I would find my way. The role supervisors play in setting the tone of the post-graduate experience cannot be overstated. I had the gentlest guidance from the incomparable team of Simon Rycroft and Brian Short. You took a green American and taught me to be a British geographer with such generosity and gentleness that I know I made the right decision to study at Sussex. It is not easy to take on a completely new subject in order to supervise a student and you did. Cheers, gentlemen. I have been fortunate to call three institutions home. This project would never have been conceived without the incubator of the National Technical Institute of the Deaf at Rochester Institute of Technology where I trained and practiced as a sign language interpreter. It was there I met and was welcomed into Rochester’s Deaf community. I am indebted to my former colleagues at the Department of Access Services, the hardest working interpreters on the planet, especially my mentor, David Krohn, and the former students and faculty of the College of Liberal Arts. 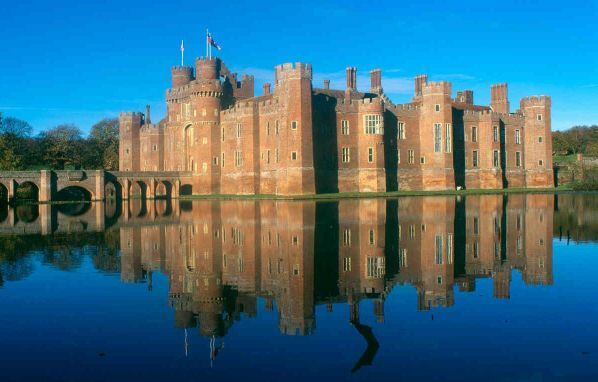 The Queen’s University Bader International Study Centre at Herstmonceux Castle has been my English hometown. I want to thank Bruce Stanley for his support and faith in my abilities, especially for his support in the creation of the Field School in Deaf Geographies. Direct support for my thesis project came in a six-month scholar-in-residence appointment and a regular teaching opportunity. The entire BISC community has cheered and supported this thesis from the outset. Thank you all. I will always be grateful to my third institutional home, the University of Sussex, as it gave me the place to become a geographer. This thesis was partially funded through a three-year Graduate Teaching Assistantship from the Department of Geography at the University of Sussex. I wish to thank my colleagues there for the opportunity and to engage with some of them in the craft of teaching, especially Richard Black, Mike Collyer, Jeremy Lind, and Dave Ockwell. I thank Alan Lester for sharing his knowledge and for allowing me to sit in on his course. I also want to thank The Women in Geography Group. You helped to bolster low spirits and offered cheerful encouragement. My gratitude goes as well to my MSc cohort for the silliness and seriousness that happened in turns. I thank Nora Groce for her kind generosity and the faith she showed in a ‘young’ researcher. I have done my best to honour the calibre and quality of your Vineyard work. I also wish to acknowledge other scholars who offered generous assistance – Harlan Lane, Anthony Poole, and Michael Zell. Thanks is due to the hardworking folks at the institutions where I did my research, including the staff at Centre for Kentish Studies in Maidstone, especially Michael Carter, Libby Richardson, and Elizabeth Finn; the Royal School for Deaf Children, Margate, especially Ayesha Powell; and the staff at the Cranbrook Museum. Thank you, Janine Wentz, for sharing your amazing design skills. 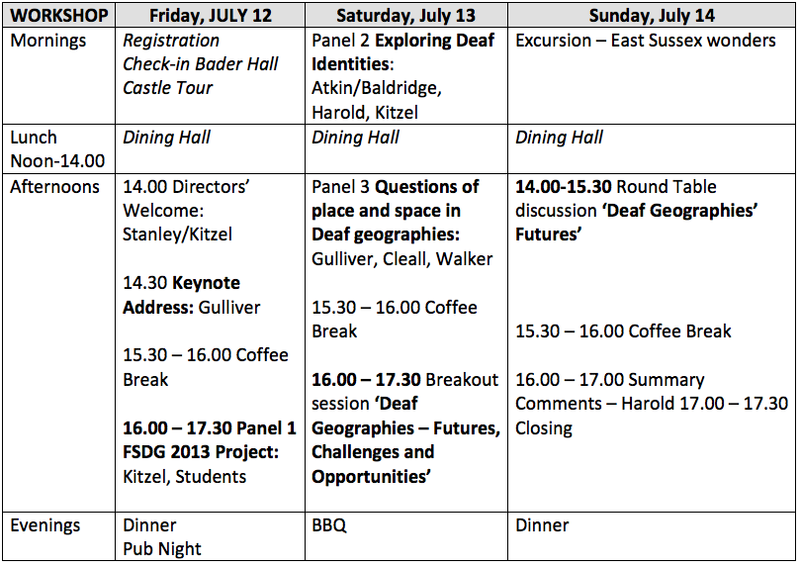 My thanks to Rebecca Edwards for the inspiration and the conversations; you helped me envisage this project and a future for Deaf historical geography. Deaf Geography is still in its infancy. I would like to acknowledge my colleagues and friends, those dedicated researchers striving to ensure its survives past the cradle, especially Mike Gulliver and Gill Harold. Thank you for being my partners in this adventure and for helping me to dream big. I am forever indebted to and grateful for the unbelievably generous spirits of Jill and Nick Fenton. The ‘Fenton Scholarship’ allowed me to finish this work. You welcomed a stranger into your home and your family and you kept her. You are simply the best. I want to acknowledge my support networks. Locally, this includes Claire Anderson, Charles Bowles, Daniela Debono, Evelyn Dodds, David Hill, Niamh Kelly, Richard Lane, Síobhan McPhee, Thea Mueller, Jean Ritchie, Emma Sanderson-Nash, Claire Smith, Karen and Peter Trimmings, Sally Underwood, and Hannah Warren. Thank you all for propping me up when things got tough and for helping me rejoice in the victories, big and small. In North America, I thank my extended ‘family’ – Maggie Berg, Brian Bliss, Nicole and Andrew Dickerson, Wendi Farkas, Christine Kray, Donna Landwehr, Miriam Lerner, Lisa Ménard, Meredith Rutherford, Dani and Peter Schantz, Dave Tillotson, Daria Veltri, and especially Theresa Small, my thesis nanny, for your unwavering love and faith in me and the decision to undertake this project. Finally, I thank my Kitzel clan for your love and encouragement in all its forms over the past few years. It has never been easy to be so far from you all. I lovingly dedicate this thesis to you. Eight years ago, I made the decision to leave the city where I was born and move to England. I had finally chosen my academic field, human geography, and was ready to make the commitment to a masters degree. I decided to finance this adventure with the profits from the sale of my home, its contents and my truck. My local friends and family were puzzled by this decision, but, bless them, they supported my choice. You see, I had fallen in love with a place. I didn’t know a soul in Hastings. I arrived with two suitcases and two boxes, a shiny new macbook, and the desire to shake up my life. I was to stay as a guest in a lovely flat with a view of the sea and begin my studies at the University of Sussex in Brighton. I commuted to uni by train and, oh my, if you know me, you know I loved the train. Its liminality and suspended space, its cacophony of languages and accents was a siren song to me, so accustomed to swearing her way at pokey drivers to the nearest Starbucks each morning. On the train, armed with a earl grey in a flask and an article or two for company, I was exploring my new surroundings and adventuring in grand fashion. I made eye contact and smiled. At everyone. A habit that set me apart from the other commuters. And I talked. To everyone. On platforms. Those across from me, next to me. I was chattering away, so happy in the novelty of it all. Him that gave language just to impose the senseless. And he prospers by what he knows. And it is used for the bad, to enslave and to mystify. Know the language that fills up your mouth is imposition. And subject your ambition to a bootless inquisition. He got fattened on dem books. He despised when he should have dismissed. Well, that to this is all relative. Who know how to clutch it. You need to let the heat within rise and evaporate. If you’re the type that sees the sea’s tide is against you, you will never navigate. I know that language is for those obsessed with real meaning. because each has to learn their own lessons. Lost it in logic so go and find it. because you are the planet that bred you. And you are the language that led you. And you are the knowledge that fed you. And never believe that the words of the wise are not your words to read. That’s when I know hell is empty, ‘cause all the devils are here. That’s when you know that hell is empty, ‘cause all the devils are here. They gave me language, so I could rain down these curses in verses. And I will take them on word for word. That I have to watch my good friends getting’ caught up in circuits. You see the serpent rehearses his hisses. He makes the valiant vicious. And I know now never to waste wishes. So, go on then, conjure a storm on the head of your enemy. You’re going to find yourself victim of negative energy. What you need to do is extend your empathy. This island was mine for a home. Now my mind is alone as I writhe and I moan. And I beseech you to be much more confident. But look, we can change. We can rampage ‘til we stand strange. You know, the freedom of mean-what-you-say and say-it with meaning. We need to change our own minds before we try and change the sequence. We need to live with our energy and not by our reason. But this the last day of my discontent, its season. No more will I tolerate this greed. Of elitist descriptions of what we can reach. To not get too near it. So they can continue pretending they are smarter. Receive it from self like Siddahartha. The past is just what we came after. That’s when you know hell is empty, ‘cause all the devils are here. Then you know that hell is empty, ‘cause all the devils are here.